"Great location! Everything went smoothly and we enjoyed the apartment. We would consider booking again." "Clos Jolie was a perfect apartment for friends and relatives, with different sleeping hours and activities. 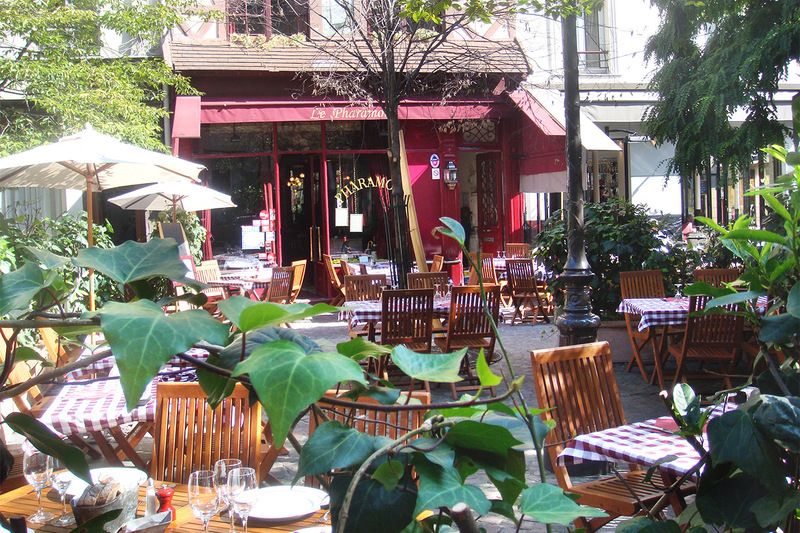 The first arrondissement is urban and excellent. 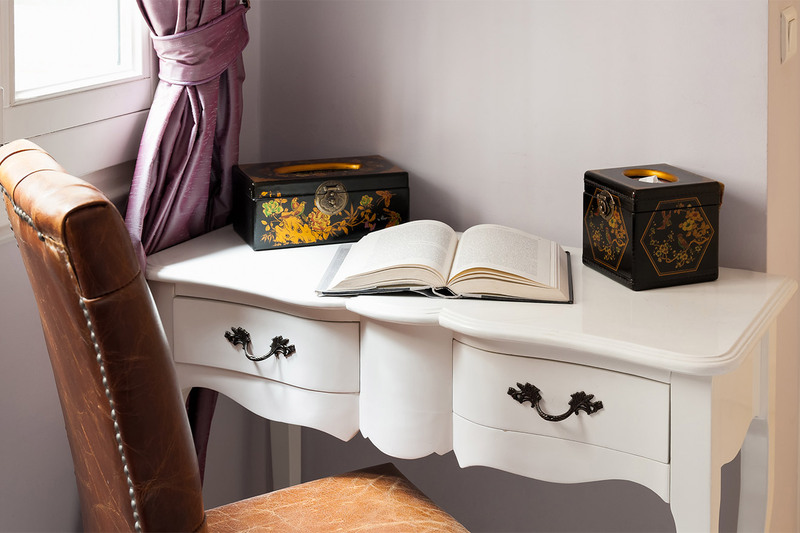 It was easy for a headquarters and as a..."
"We were delighted with the apartment, the layout, and the furnishings. There was ample room for our family of 6 to get together or have privacy. We were pleased with its convenient location to..."
"The apartment is large. Lots of room for two couples. Headroom is a bit of an issue on the upper floor for tall people. Beds are super comfortable. Kitchen has all essentials, including basic..."
"It was More than Perfect. The apartment was Very comfortable with tons of space for 6 large people. 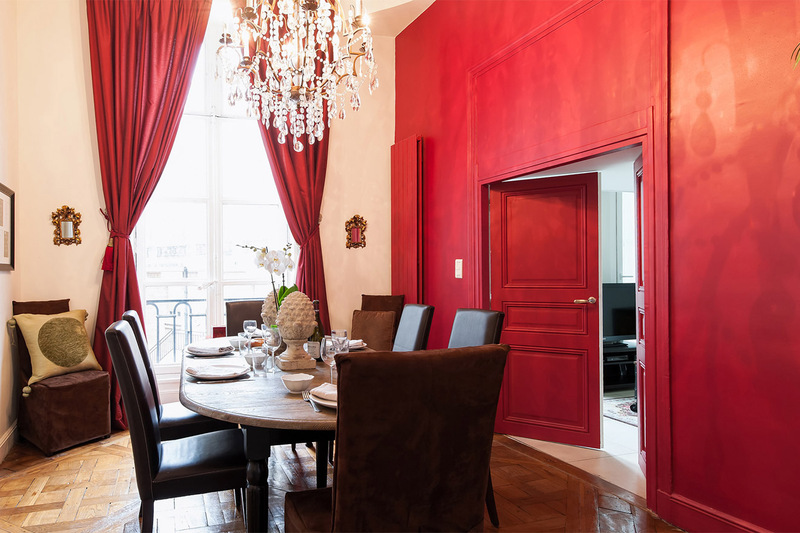 Everything we love about a Paris apartment with bonus after bonus. Close to everything. 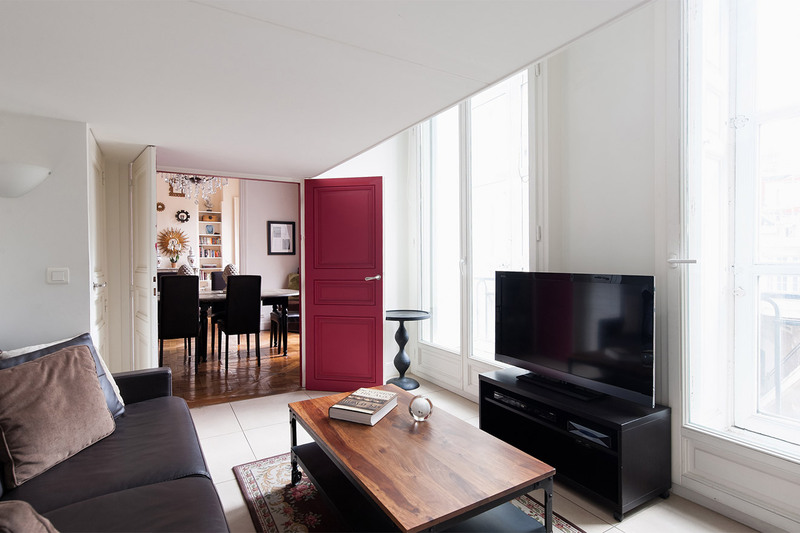 Staff was..."
Right in the geographic heart of Paris' 1st arrondissement, the Clos Jolie apartment is a beautiful and fully remodelled 3 bedroom apartment located in a superb neighborhood. 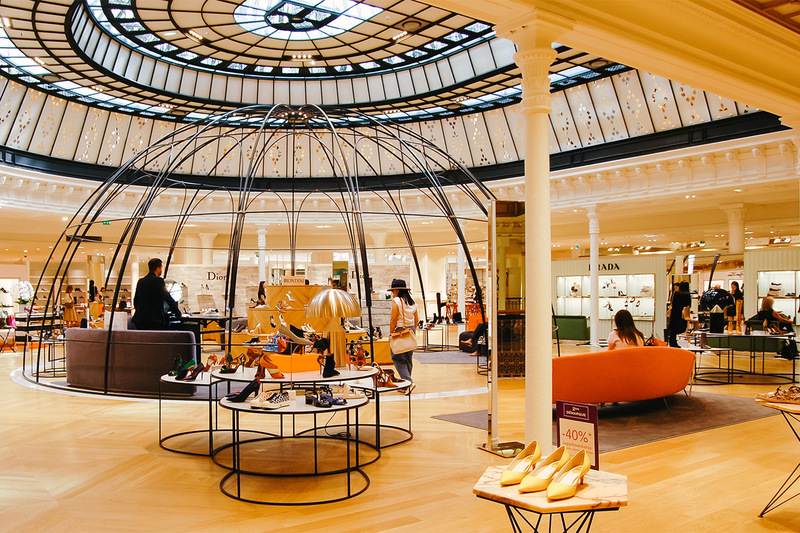 Visit the Louvre Museum and enjoy world class shopping along the rue de Rivoli, the elegant rue du Faubourg Saint-Honoré and contemporary shopping at the multi-level Les Halles. 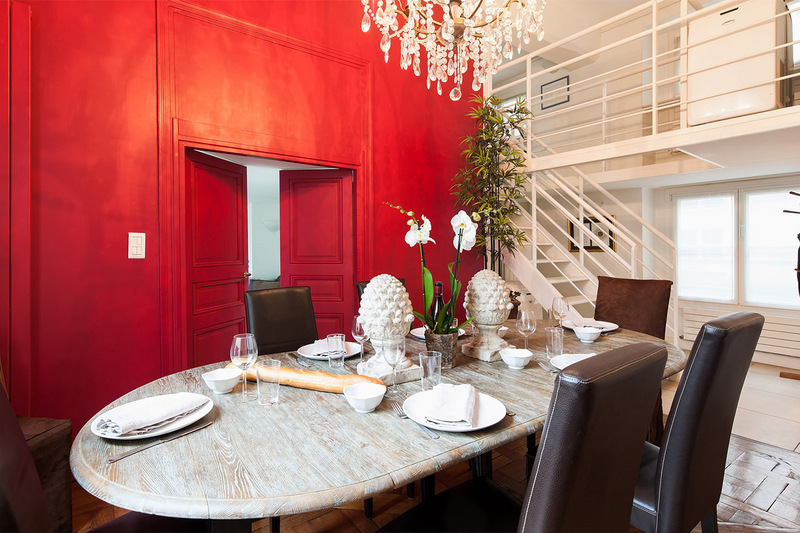 This spacious Paris Perfect apartment rental features a completely remodeled, modern kitchen, elegant and comfortable living room and gorgeous dining room. The first bedroom, located on the lower level, features a luxury bed and overlooks the quiet courtyard of the historic building. 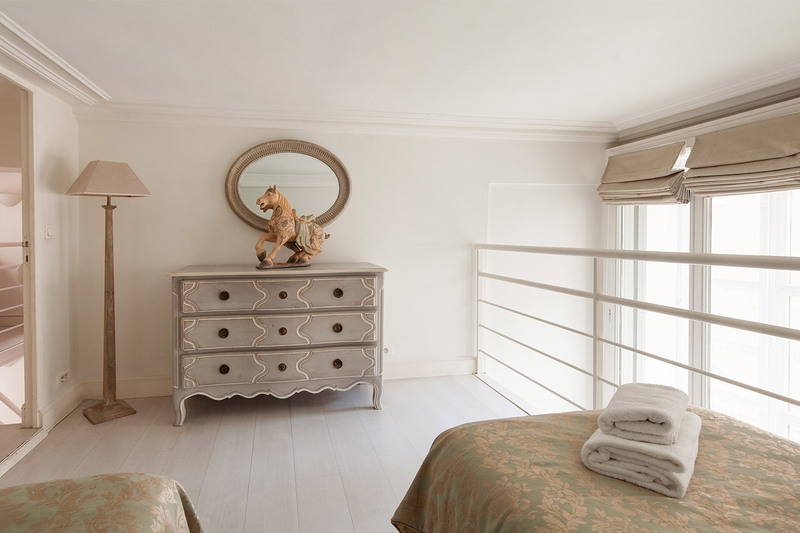 The Clos Jolie cleverly features a mezzanine level with two bedrooms and a bathroom. 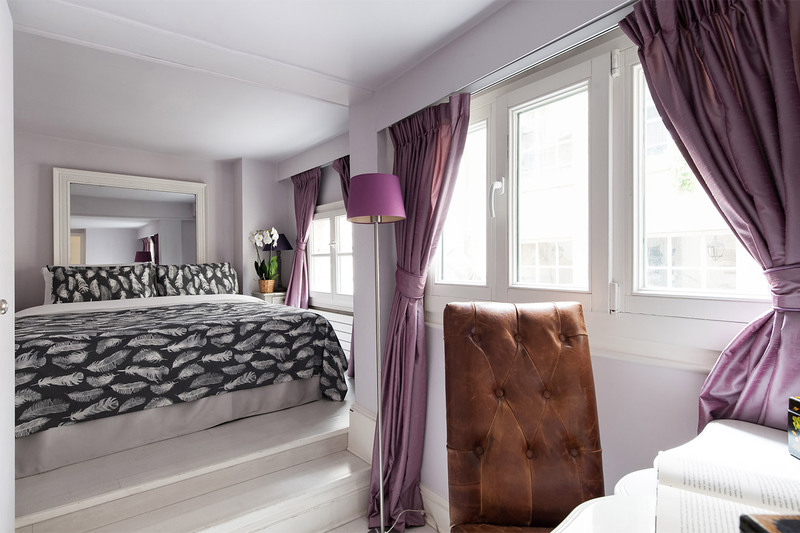 Book the Clos Jolie for an elegant stay right in the heart of Paris! 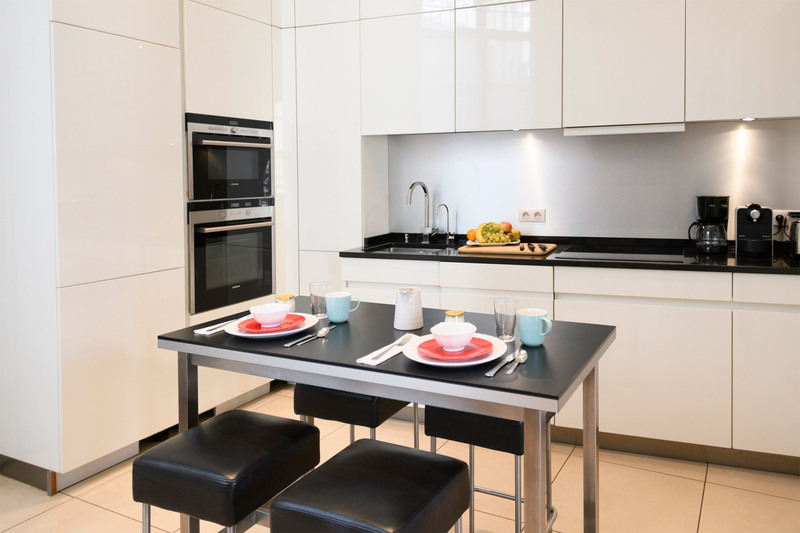 Please Note: This apartment is set on a street with a few popular restaurants and cafés. While most guests haven't mentioned anything at all, there have been a few comments about audible although muffled base tones on weekend evenings. 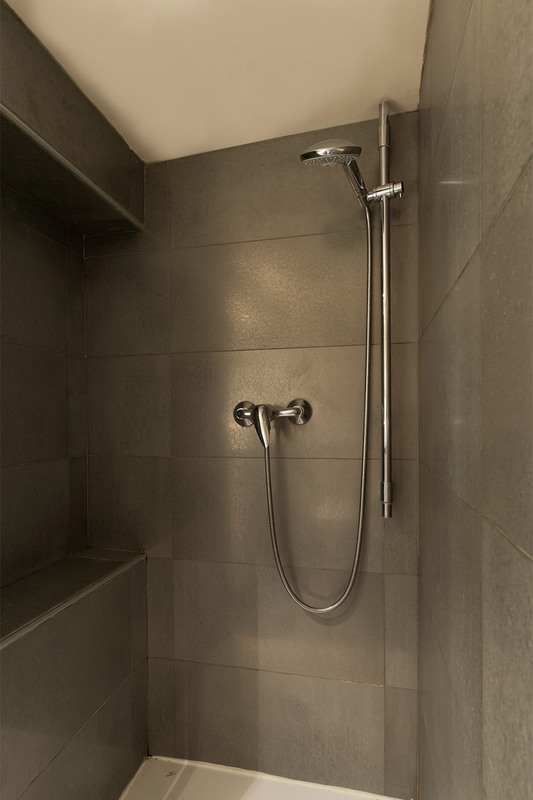 Bedrooms 2 and 3 and the second bathroom are located on the mezzanine level. The ceiling height on the mezzanine is approximately 5 feet 11 inches high making it comfortable for average height people. 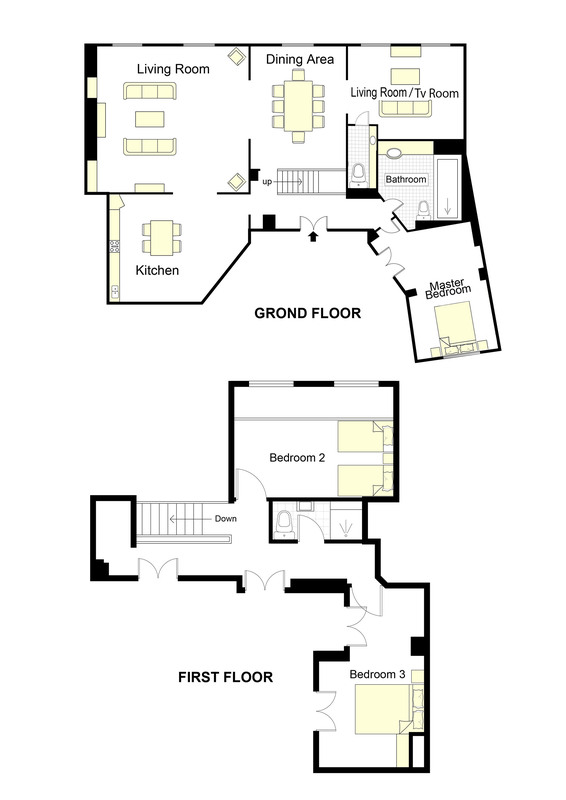 The main level rooms (living, dining, second living room and first bedroom) are normal height and/or double height as you can see in the pictures. This apartment is only suitable for children aged 12 years or older. Elevator: Yes, the apartment is located on the 2nd floor (3rd floor American). Please note, the apartment does have internal stairs that lead to two bedrooms and a bathroom. Fully-equipped with pots, pans, utensils, cookware, glassware, dishes, and so on. 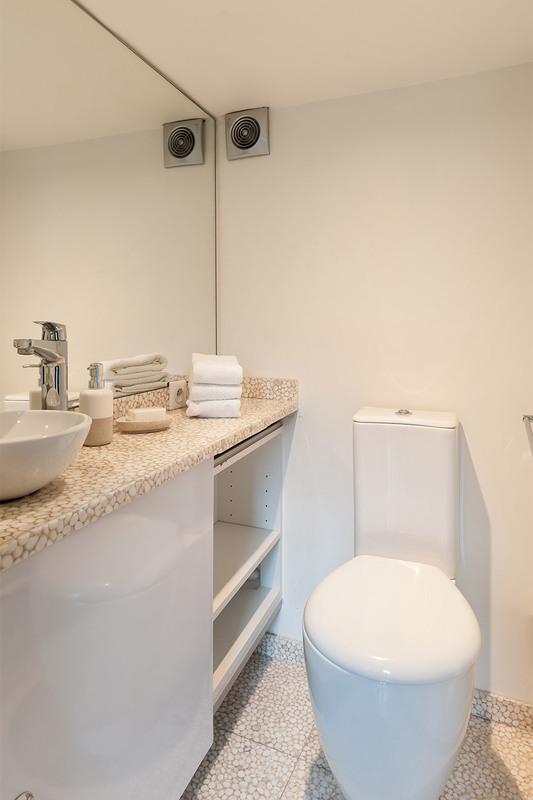 We hope you had a wonderful stay in our Clos Jolie apartment. Please take a moment and click here to share a review of your experience with us. "Clos Jolie was a perfect apartment for friends and relatives, with different sleeping hours and activities. The first arrondissement is urban and excellent. 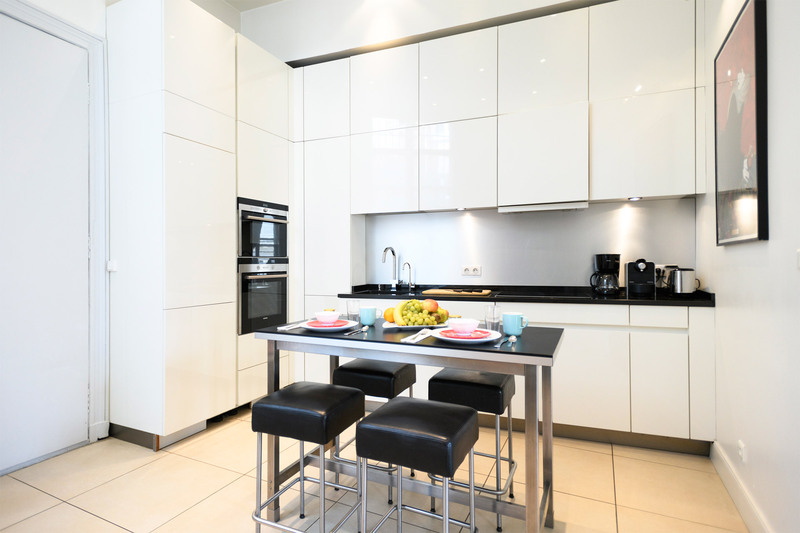 It was easy for a headquarters and as a home - excellent kitchen!" 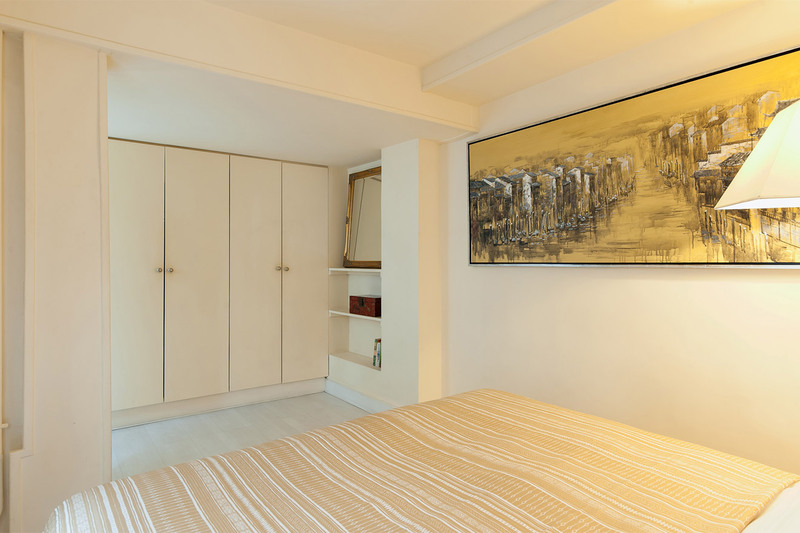 "We were delighted with the apartment, the layout, and the furnishings. There was ample room for our family of 6 to get together or have privacy. 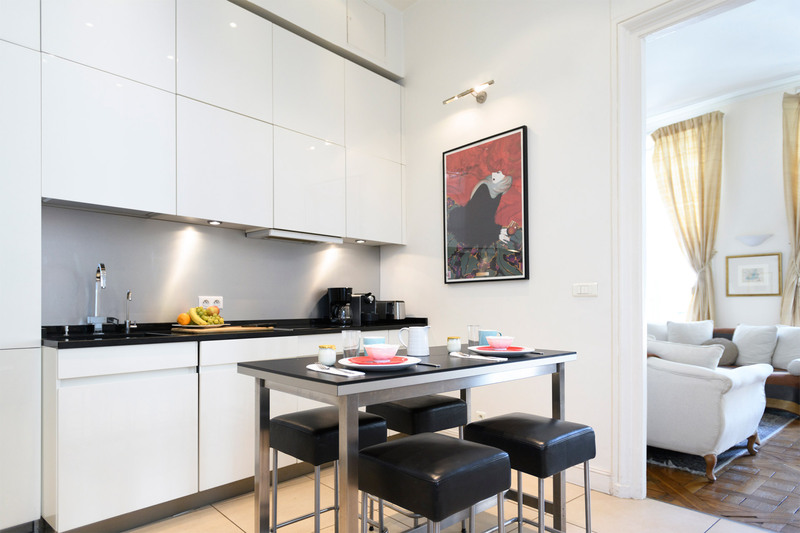 We were pleased with its convenient location to charming streets (Rue Montorgueil), Les Halles, restaurants, and metro stations. 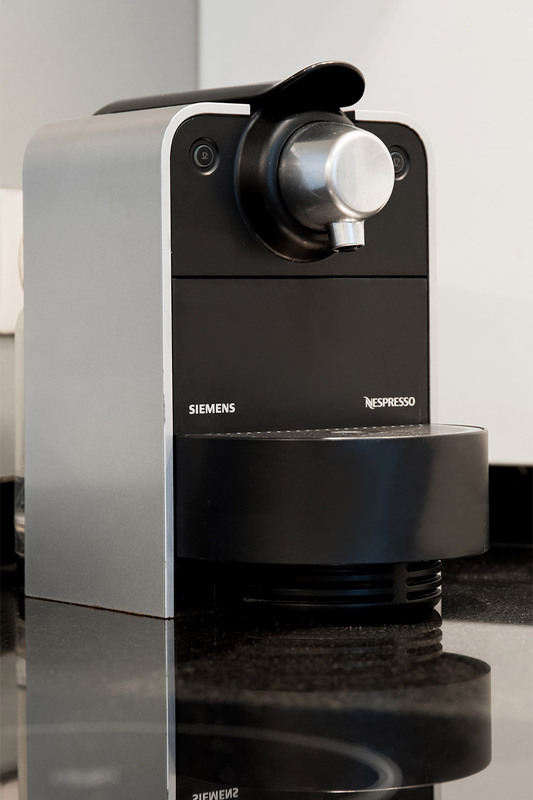 We were pleased also..."
Kitchen has all essentials, including basic pantry items. On a side street, quiet except for street noise from garbage trucks. Building reno..."
"It was More than Perfect. The apartment was Very comfortable with tons of space for 6 large people. 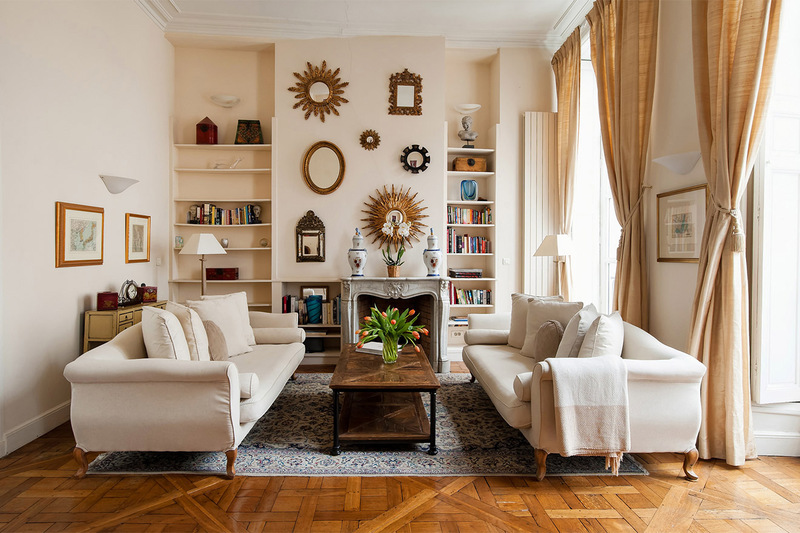 Everything we love about a Paris apartment with bonus after bonus. Close to everything. Staff was very helpful and went the extra mile and assisted with delivery of medical supplies. It was an..."
"This was a wonderful apartment. 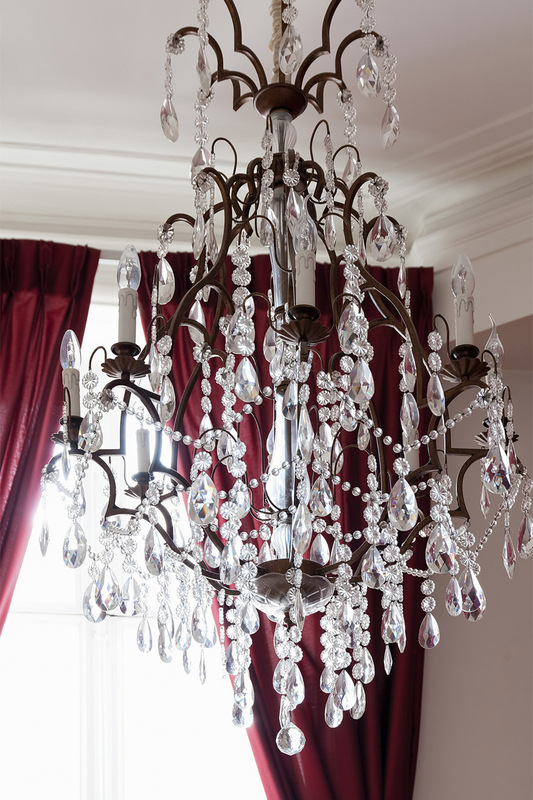 It was beautiful, in a fantastic location, well appointed, comfortable - just incredible! We had a problem with the hot water which was fixed in no time at all. The recommendations by the concierge for restaurants, places to go and things to see were also wonderful...."
"We could not have asked for a better location! This spacious apartment exceeded our expectations. It is within short walking distance from the metro and many attractions. It has some great market streets close by and more than enough restaurants to choose from. This is definitely my choice again..."
"What a fantastic location - so vibey with a great atmostphere and nightlife. There are so many interesting shops and restaurants within walking distance to the apartment. The metro station is literally 5 minutes away and great main attractions like the Notre Dame and Place Dauphine is close by. 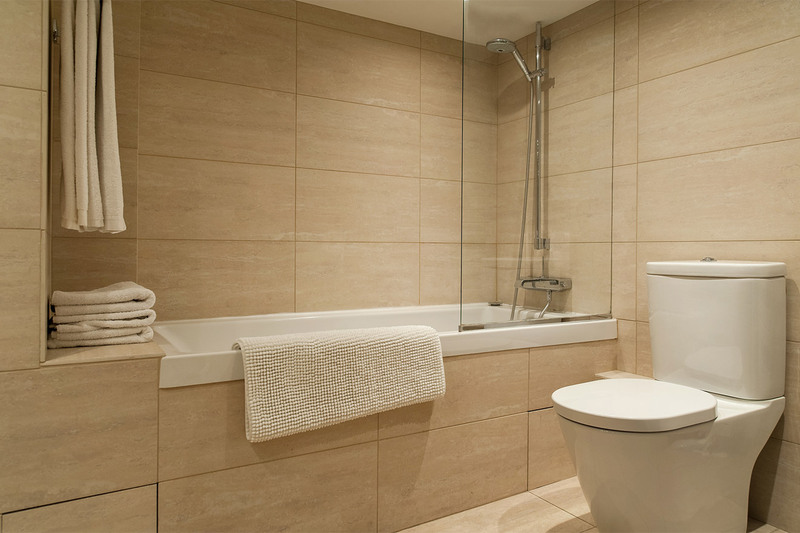 The..."
"We had a wonderful stay at this apartment. It's a beautiful place in a wonderful location." "Paul met us at the apartment. Location couldn't be more perfect. Short walk to 2 Metro stops and the RER rail station. Louvre, Eiffel Tower, museums all walking distance! Lot's of food options close by which made for fun exploration. The apartment was immaculate and had all the modern..."
"From the moment Paul met us at the apartment, our stay was magnificent. The accommodations were spacious, clean and beautiful. Our central location made navigating Paris by foot and metro very simple. Clos Jolie was the perfect size for 5 women celebrating a special birthday! We were also impressed..."
"Absolutely charming accommodation. The condo was quite roomy and well stocked with the basics. As advertised, the ceilings are a bit low in bedrooms but quite doable. It is within walking distance to many attractions and the metro. Would rent it again." "This is a lovely apartment in a perfect location. It is equidistant from The Louvre and Pompidou with all other usual destinations an easy walk. 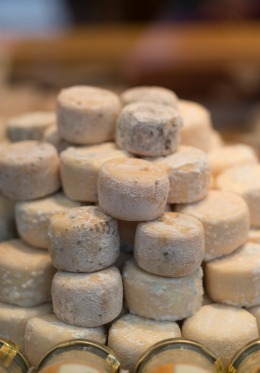 The neighborhood is a foodie's paradise, with the best cooking supply stores, cafes and markets moments away. 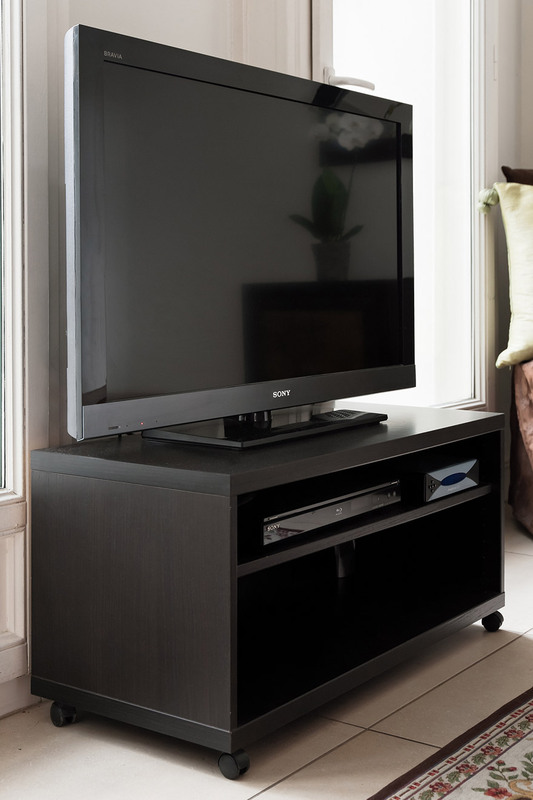 The apartment is quiet, comfortable and..."
"Our apartment was amazing!! It was large and able to accommodate all of us, my family was celebrating my husband's 60th birthday. The kitchen is modern and gorgeous, we were gifted with coffee, tea, and various snacks. There are three bedrooms, two with queen beds and one with twin beds. 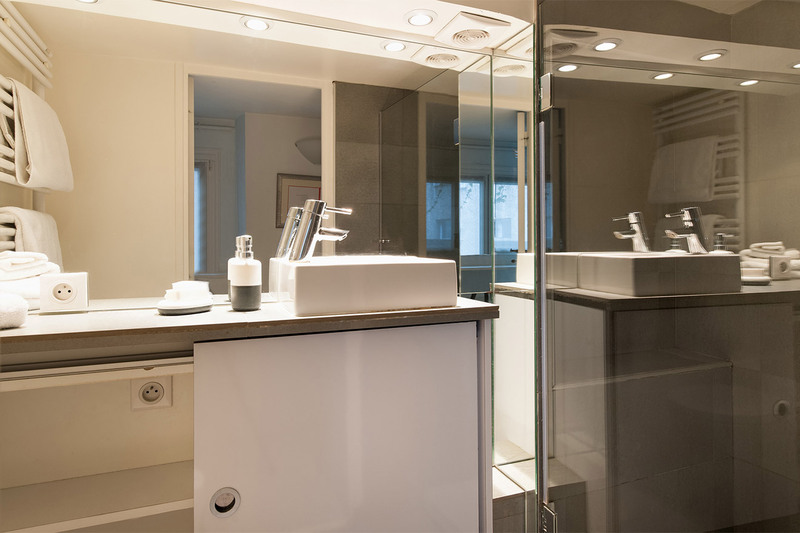 There..."
"This is the second time we have rented through Paris Perfect. 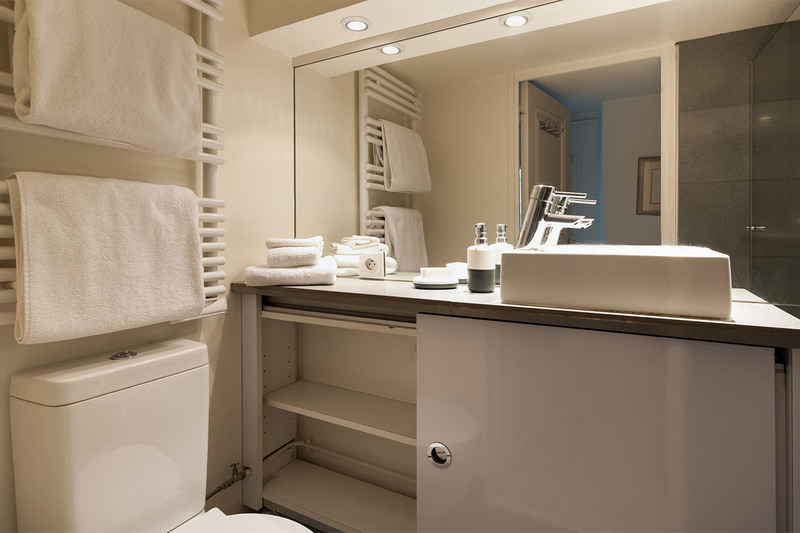 In both cases, both the apartments and service were exceptional. I would and have highly recommend them to anyone looking for professional service and outstanding apartments. 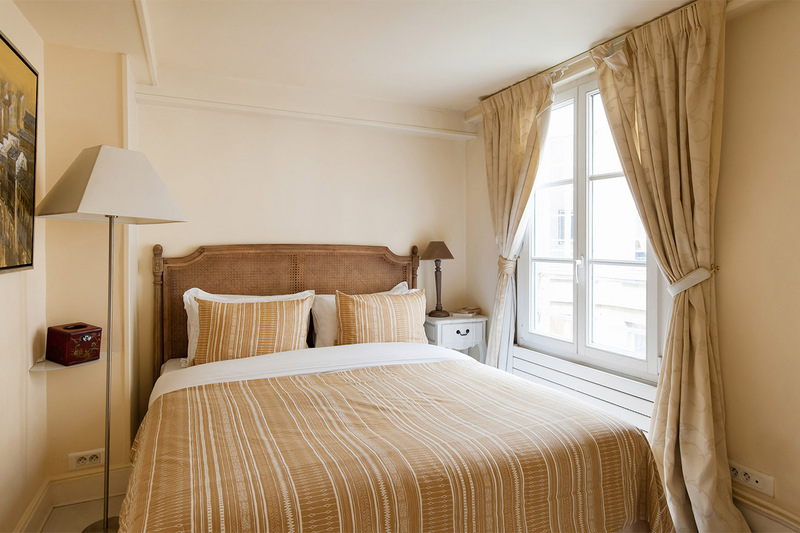 Clos Jolie is precisely as described and..."
"We had a wonderful visit to Paris in August 2014 with the help of Paris Perfect. Our greeter, Paul, met us at the apartment with the keys and showed us everything we needed to know. The apartment was exactly as advertised (including the low ceilings in the loft and master bath). 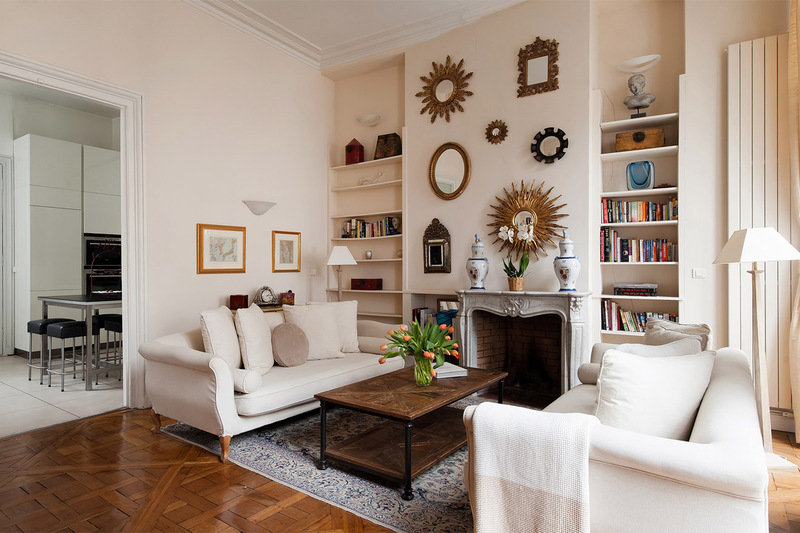 Other than that,..."
"The apartment is very well located, just a couple of blocks from the Louvre Museum. Is closer to everything, so just walking we can visit the main attractions of this beautiful city. 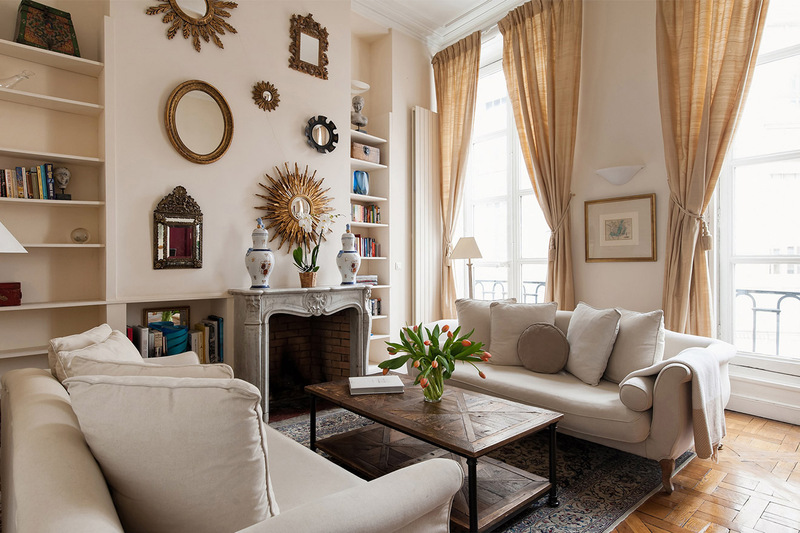 The apartment is nice, very well decorated in a classic style. It has 2 bedrooms and 2 clean and spacious..."
"Fantastic location. So many attractions within walking distance. Wonderful street market around the corner. Bakery,grocery store, ATM , restaurants, Metro,and shopping all nearby. Your "home away from home". The apartment was wonderful. Everything we needed included to make this a..."
"There were six in our party and we stayed in the Clos Jolie Apartment. We could not have asked for a better place to stay. 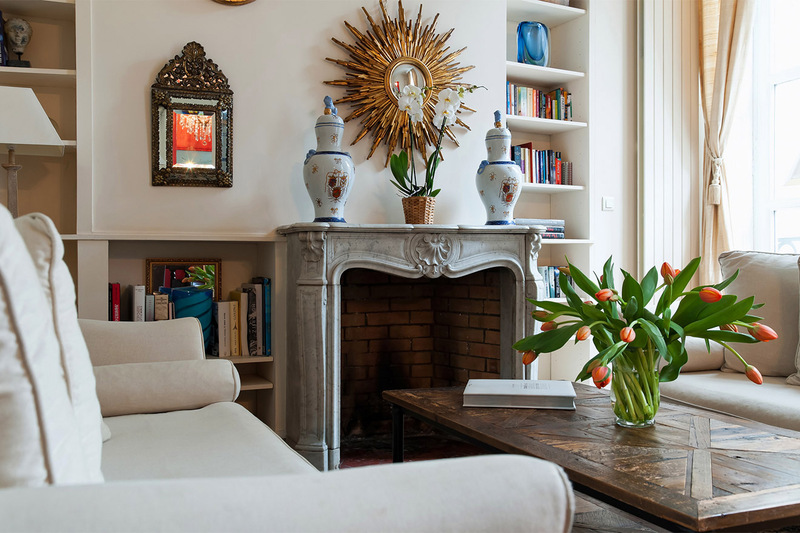 It was exceptionally clean, beautifully decorated and perfectly located in Paris so that we could easily get to and from all of the major attractions (we could walk to the..."
"Six family members stayed in the Clos Jolie. It was just as the pictures depicted. It was clean, beautifully decorated and located in a very safe area. We could walk to the Louvre. It was so nice to come back to a lovely apartment after a day of sightseeing. Thanks to our greeter, Paul, for..."
"Clos Jolie was an amazing apartment. More beautiful that the pictures on the website! We had six quests and we had plenty of room. It is a great location for sightseeing in Paris. The apartment is lovely and we loved everything about it. Can't wait to come back!!" 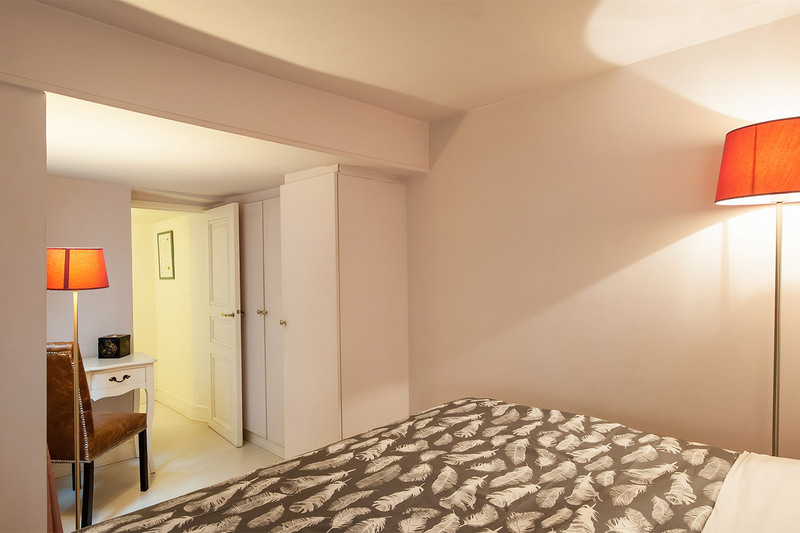 "Clos Jolie was a very nice apartment with plenty of room for 7 people.Location in the 1st was ideal for touring. I would definitely recommend this apartment for 5-7 people." "Great 3 bedroom, 2.5 bath apartment with kitchen, family room, and large dinning room. The bed rooms are 1 queen, 1 queen, and 2 singles, and there is also a sleeper sofa so you could sleep up to 7 or 8 comfortably. 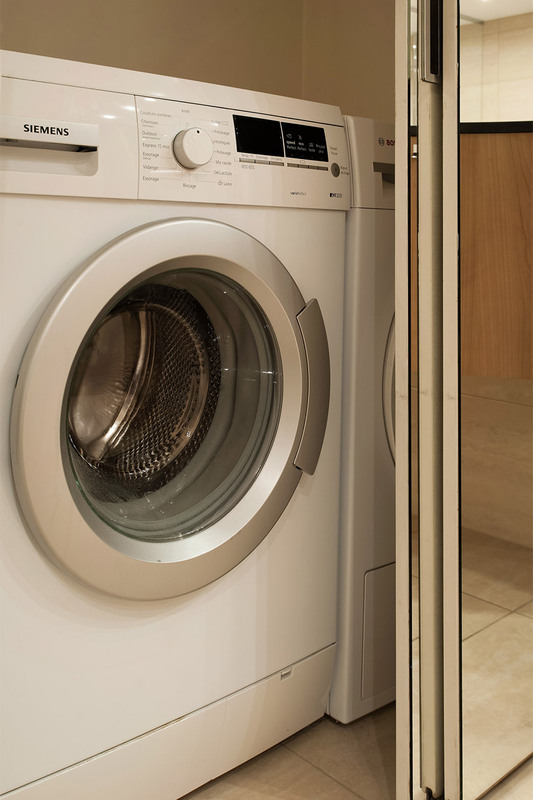 The apartment also has a washer and dryer. You are about 2 blocks from the..."
"The apartment was great, position perfect for us and we just loved being there. One problem is that the height restriction was mentioned for the mezzaine level but not the bathroom 1 which my 6'6" husband found very difficult - he had to kneel in the bath to have a shower!!! 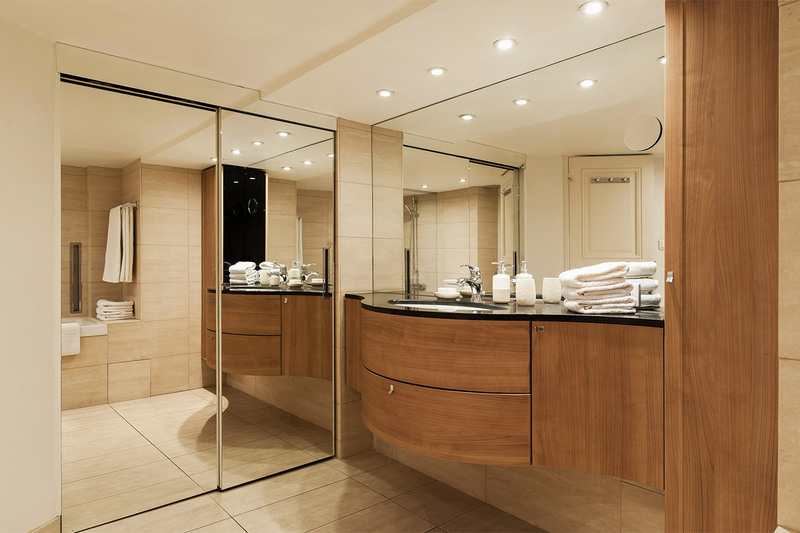 The bath is..."
"Our apartment couldn't have been more perfect! The greeter was right on time and gave us all the information we needed about our apartment. The Paris Perfect staff always emailed back within 24 hours to answer questions I had before our trip. The apartment was clean and well cared for. Our stay..."
"The best area of Paris!!! apartment was perfect !!! all amenities were available. The Greeting was well organized and you must use their recommended driver. it was a very easy check in and and check out. Will definately be back!!! 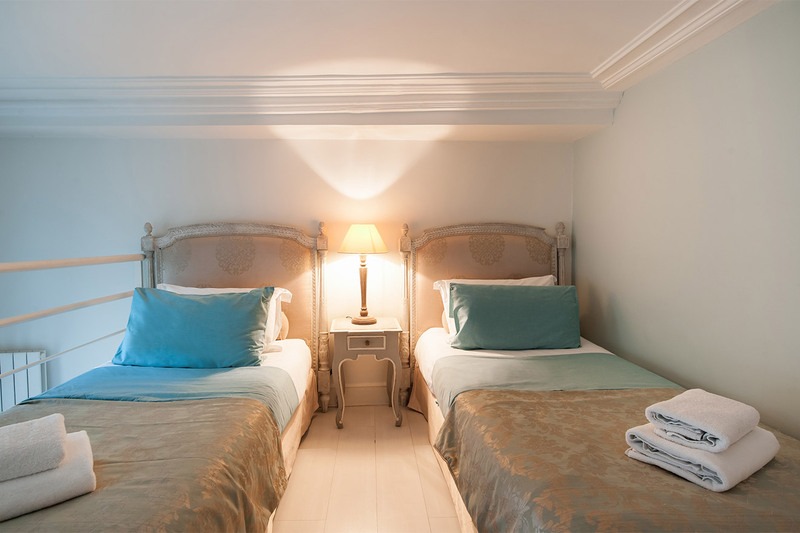 thank you for a wonderful stay"
"My husband, two of our adult children and I had a most enjoyable stay in Clos Jolie, a beautiful apartment that in many ways felt a little like a French dolls' house. 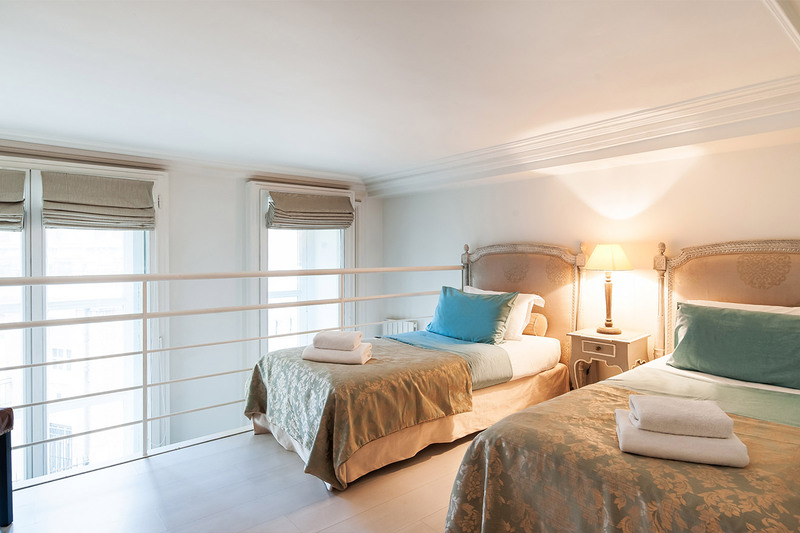 The apartment was very well appointed and tastefully furnished, with comfortable beds, a choice of pillows, and many thoughtful..."
"We were met by Vincent, who was recommended by Paris Perfect to pick us up from the station, he rang and spoke to Wendy who was waiting for us. Wendy showed us around and went through everything there was too. She was delightful. We loved our apartment. 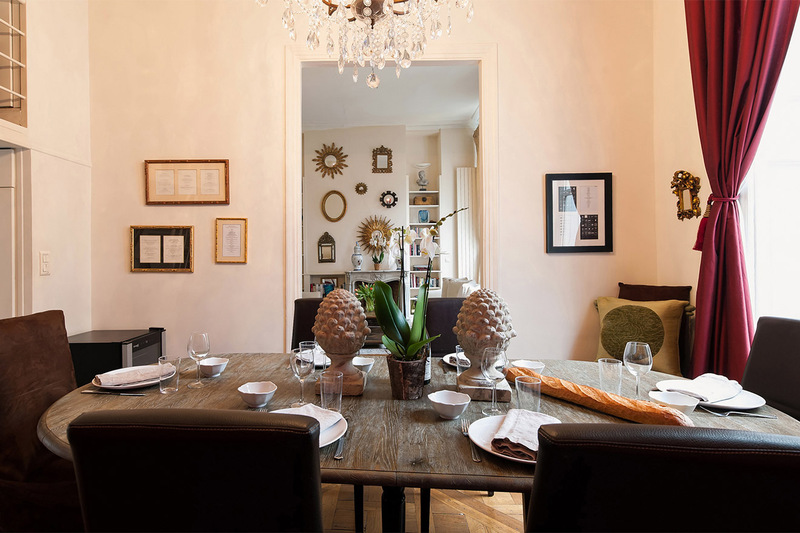 It was roomy as there was only 7 of us..."
"The Clos Jolie apartment was everything the Paris Perfect website made it out to be, a dream come true in the heart of the 1st arrondissement. 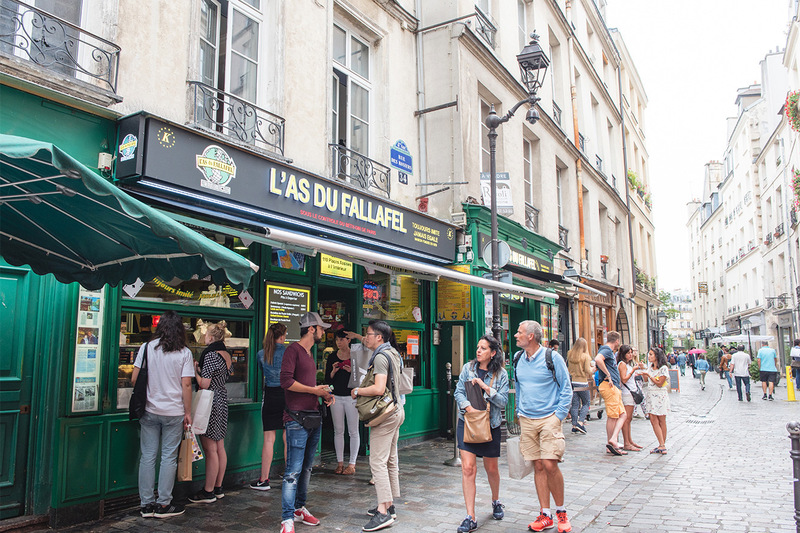 Great restaurants and markets are all over the area, and the Les Halles metro is just around the corner. We did a lot of walking to Paris Landmarks using..."
"From the moment we were met at the airport by Victor and driven into Paris we felt comfortable. 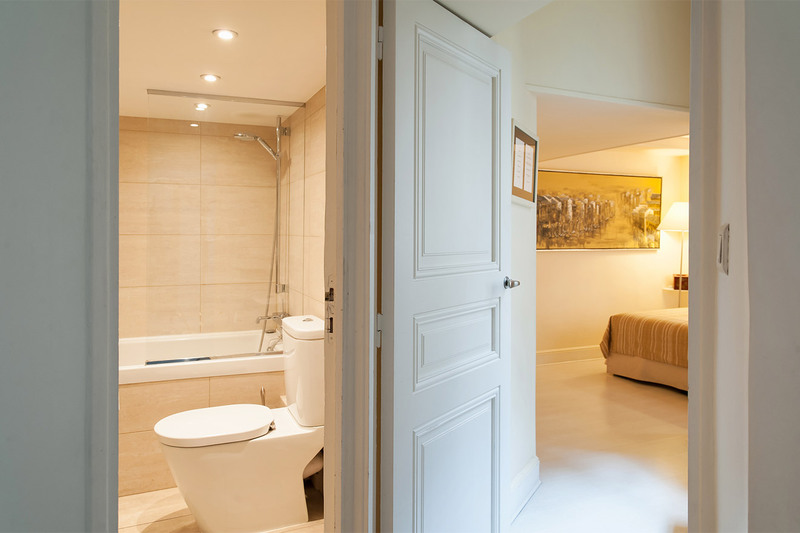 We stayed in the elegant Clos Jolie apartment which was quite perfect indeed for our family. It was immaculate upon our arrival and Kevin the greeter explained all about how everything worked. 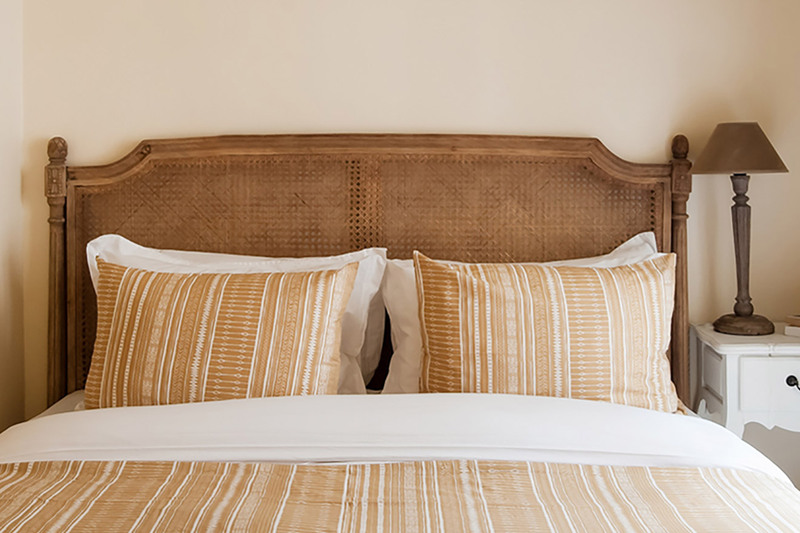 The beds..."
"We were a family group of 5 and stayed in the Clos Jolie apartment.The apartment was beautiful - very tastefully decorated and of very high quality. It was compact with some low ceilings, but apart form this was very satisfactory. 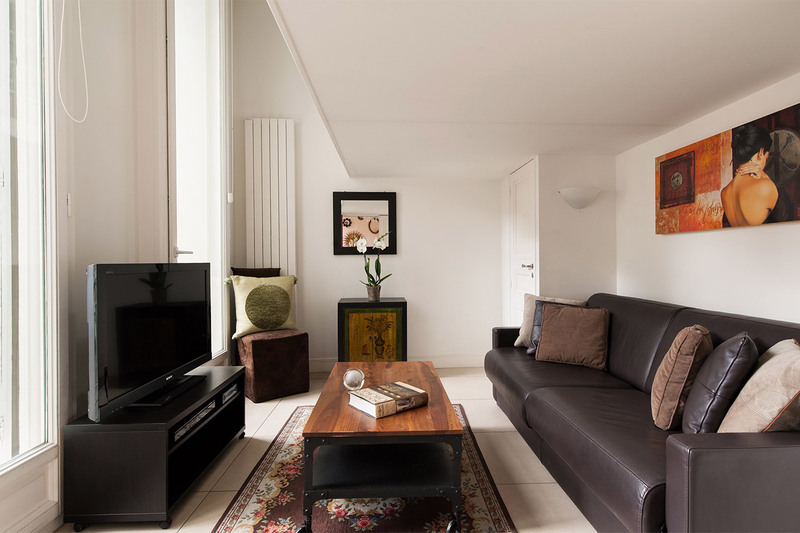 The location was excellent, central yet quiet, close to..."
"The apartment is beautiful and in a wonderful location beside Les Halles. We had a wonderful holiday. All the major sites are walkable from the front door. The apartment is surrounded by very good restaurants and lots of bars. The apartment itself is very well equipped. We did not need anything..."
"Great time. Excellent place in a perfect location. Much more fun than a hotel." 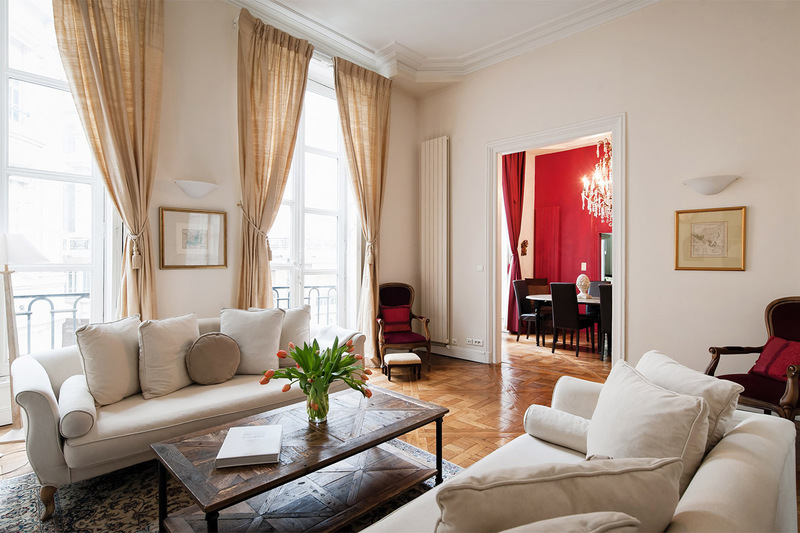 "Paris Perfect was a terrific agency to work with and we really enjoyed our stay at the apartment. There were 4 of us travelling together, and we stayed in a couple of hotels for the first few days and then moved to our apartment and what a difference! 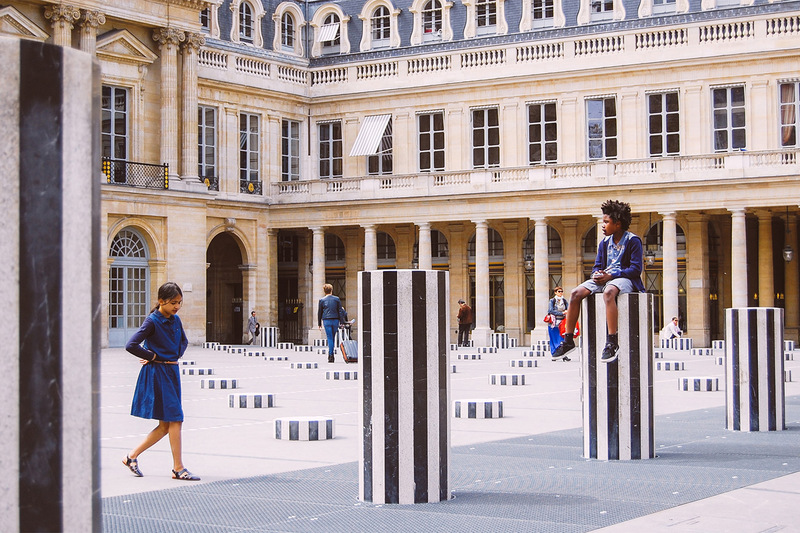 Our vacation truly started when we got to our..."
Located in the heart of Paris' 1st arrondissement; spend your days exploring the Louvre and world-class shopping along rue de Rivoli, the elegant rue du Faubourg St. Honore' and contemporary shopping at the multi-level Les Halles. rue de Rivoli (5 min walk): fabulous street lined with one beautiful boutique after another. Louvre Museum (8 min walk): Take a short stroll along gorgeous streets to the Louvre Museum, with its distinctive Pyramid Entrance. 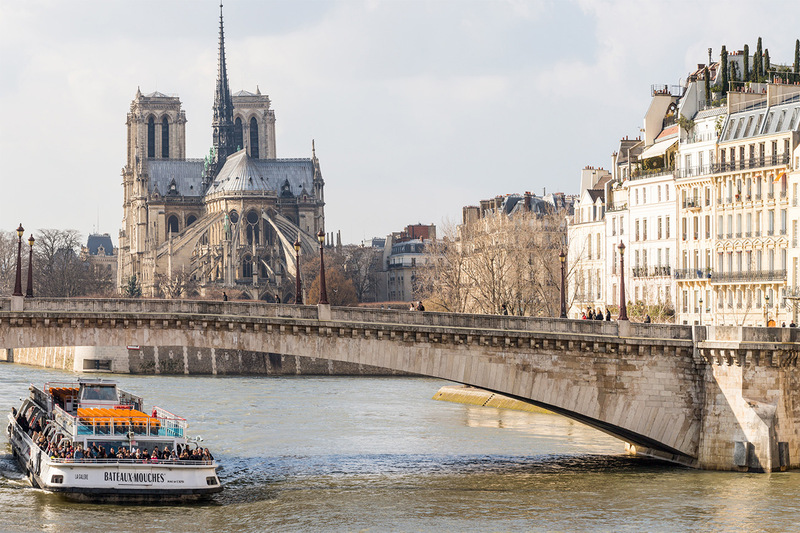 Seine River (8 min walk): stroll along the banks or board a scenic cruise. 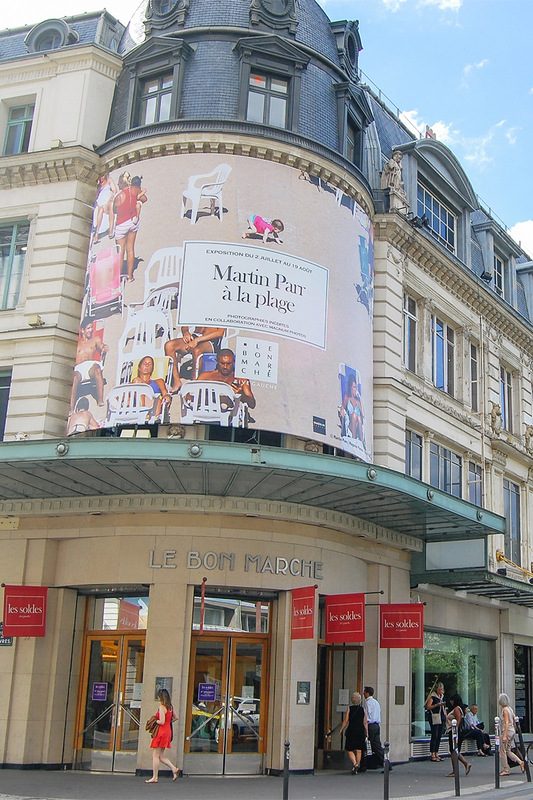 Les Halles underground shopping mall (9 min walk): Shoppers will delight in the world-class shopping at the multi-leveled Les Halles, just a few blocks away. 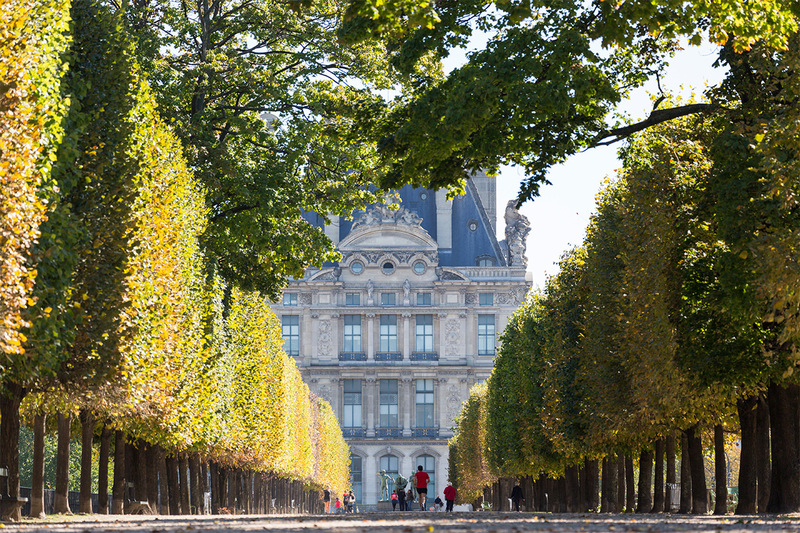 Jardin des Tuileries (12 min walk): After visiting the Louvre Museum, stroll through the beautiful Jardin des Tuileries to the grand Place de la Concorde. Ile de la Cité (12 min walk): in the middle of the Seine; home to Sainte-Chapelle, the Palais de Justice and Notre Dame. Place de la Concorde (20 min walk): Here you'll find beautiful fountains and the ancient Egyptian Luxor Obelisk. Musée d'Orsay (22 min walk): cross the river and you're in the 6th arrondissement at the beautiful Musée d'Orsay. 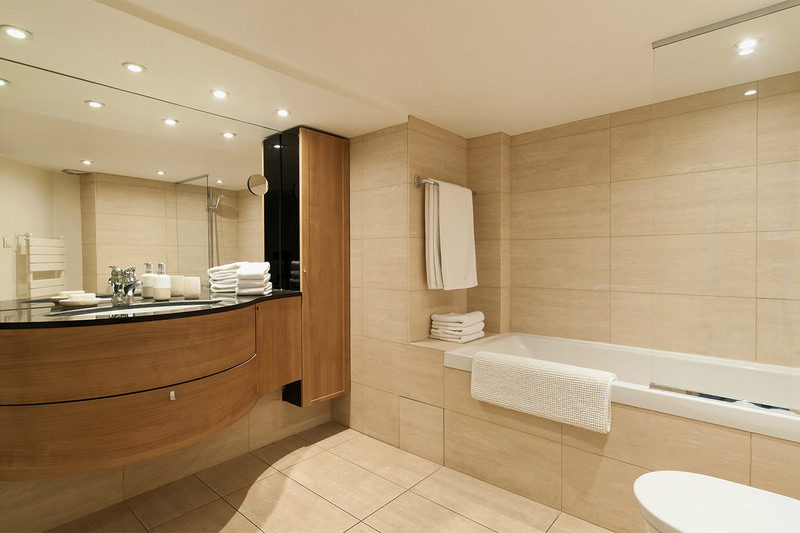 Large bathroom with a wonderful bathtub!